the scenes of regional taprooms. When most people think of Wisconsin they think of cheese, cows, and drinking BEER. We’re not just good at drinking beer, of course: For generations, we’ve been masters at brewing it. It’s not just us Wisconsinites, either: The craft brewing industry as a whole across the Midwest has come a long way in just the past few years. This of course has brought on something amazingly spectacular here in Eau Claire. 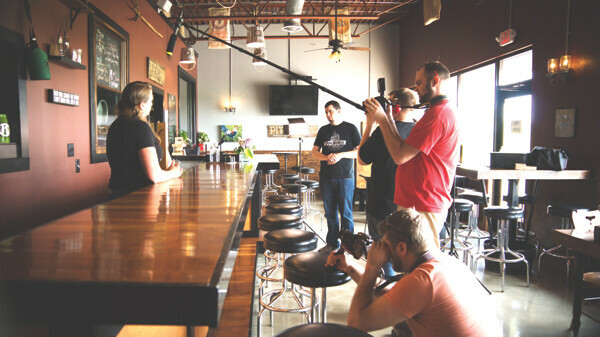 A new Web series highlighting craft breweries around the Midwest has just started up called Taproom Travelers. Each season will consist of six episodes (a six-pack if you will) and the very first episode showcased Eau Claire’s very own Lazy Monk Brewery. The team is made up of six individuals from all over, giving different insights into their own craft beer experiences: Jake Hrudka, Landon Cerny, Alex Drogseth, Andy Hoffman, and Troy LaBair and his wife, Stephanie. It all started with Troy LaBair and Cerny coming together and talking about how they would like to do some sort of video project whether that would be a mini-series or a Web show, ultimately settling on Taproom Travelers after looking into similar series that have been happening around the nation. Once that was set, they assembled everyone and began reaching out to local breweries, expanding their search the more they grew. Lazy Monk was the first to respond, which catapulted them to get other breweries involved such as Valkyrie Brewing in Dallas, Wis.; Pitchfork Brewery in Hudson; and Read’s Landing Brewery near Wabasha, Minn., where the Chippewa River flows into the Mississippi. “(Read’s Landing) is an awesome little brewery. We even had trouble finding it on the (website) we go to discover new breweries,” Troy LaBair said. Each member of the team brings something different to the table culminating in a masterful production that would astound even the Travel Channel. She went on to talk about how craft brews have a stigma of snobbery surrounding them and that shows such as this will show the other side of beer and the brewing industry. “If I could travel around the country, drinking amazing beers with all of these guys, getting paid OK – it might not even be well – but that would be the happiest life I could live,” Troy LaBair said. The team is also in talks about getting merchandise such as T-shirts and coasters. “We literally sold out of the T-shirts at the Lazy Monk premiere, and we honestly didn’t think we would sell a single one,” Hrudka said. While they’re still getting established, they made sure to point out that they have a similar challenge that most of these breweries had when they first started up. 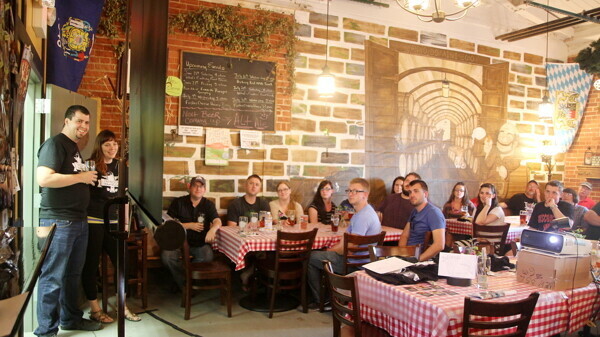 If you’d like to find out more information about Taproom Travelers as well as take a look at their “Beer School,” check out their website at TaproomTravelers.com as well as on Facebook.com/taproomtravelers.